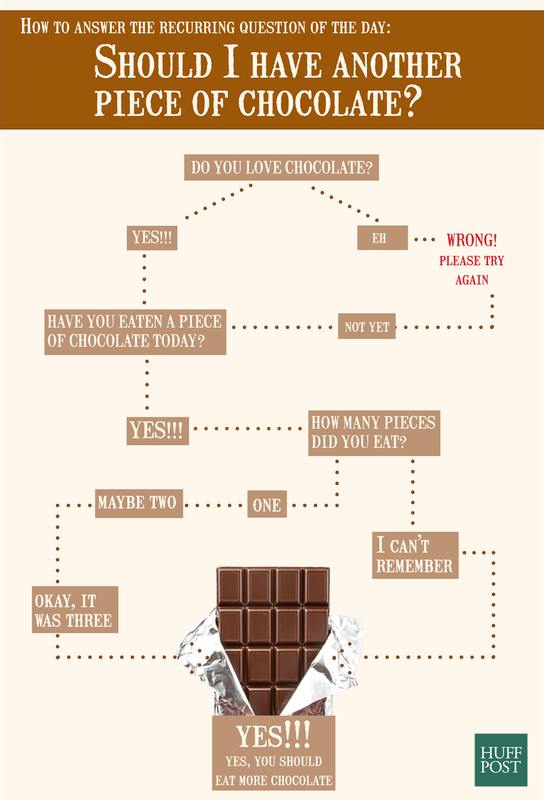 Should You Eat Another Piece Of Chocolate? Here's The Answer, In A Flowchart. If you've ever wondered "How much chocolate is too much chocolate?" you have stumbled upon the right corner of the Internet. Because right here, right now, we're going to answer that pressing question. Anyone who has any feelings for chocolate -- ahem, we're talking to all you fellow chocolate addicts out there -- knows that the chocolate void in our heart can almost never be filled.